Ryedale District Council has run a number of events over recent years, using music, drama and art, to talk about democratic engagement and participation with young people, and to publicise voter registration and elections within the District. 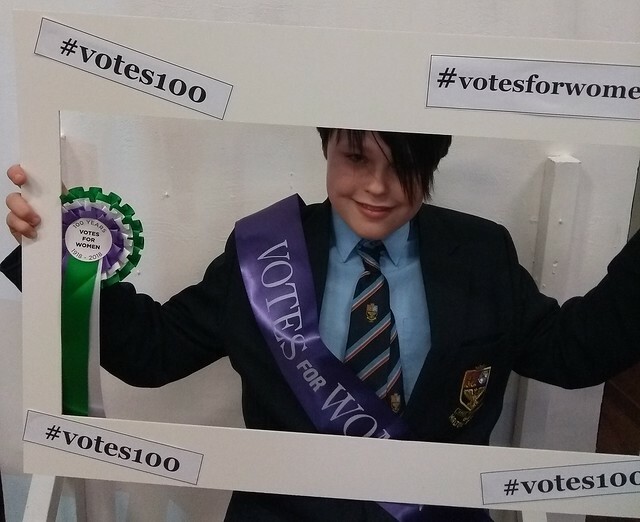 As part of the #Vote100 centenary of votes for women, Ryedale District Council has commissioned Musical Memories to run a number of events throughout 2018 with schools in the area. The first of these took place on 16 March at Malton School. The event, entitled Hymns to Hers, uses a mixture of drama, song and discussion to explore the events of 100 years ago and link them to democratic participation and voter registration today. 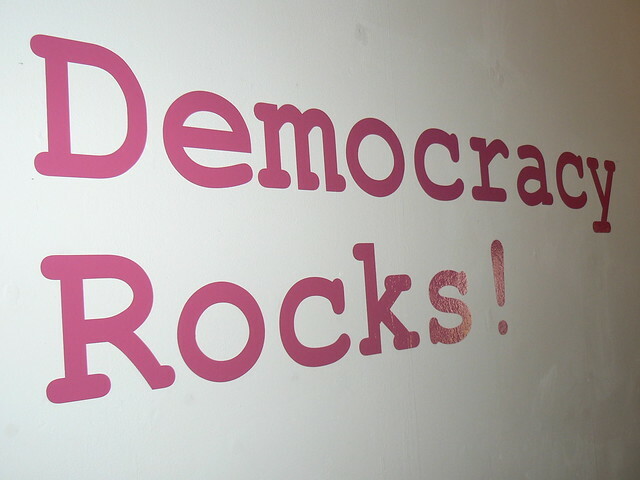 In 2015, in the run up to the Parliamentary General Election and Local Elections, Ryedale District Council ran an innovative and highly acclaimed project called Democracy Rocks in conjunction with North Yorkshire County Council’s Connecting Youth Culture, NYMAZ, a youth music organisation, and Helmsley Arts Centre. In the first part of the project “Crash Bang Ballot!” young people were given the opportunity to re-use Ryedale’s old, decommissioned metal ballot boxes as musical instruments and “blank canvases”, at the same time as talking about democracy and the importance of voting. A musician, Billy Hickling, former cast member of the acclaimed West-end hit “Stomp!” and Lyn Wait, a local community artist, led a series of workshops. A film recording the young people’s journey and the performance at Helmsley Arts Centre on 9 March 2015 is available below. The second part of the project was an exhibition exploring “The Secret Life of the Ballot Box” at the Ryedale Folk Museum Gallery from 28 March to 17 May 2015. This was the culmination of many months work where Ryedale’s young people and professional artists had been invited to take the old ballot boxes and turn them in to works of art. The photo gallery from the exhibition is available below. In 2016, a follow up project, Democracy Rocks Up, took place ahead of the EU Referendum, in conjunction with Malton School, with the “Crash Bang Ballot Band” making a return. The film from this event is available below.